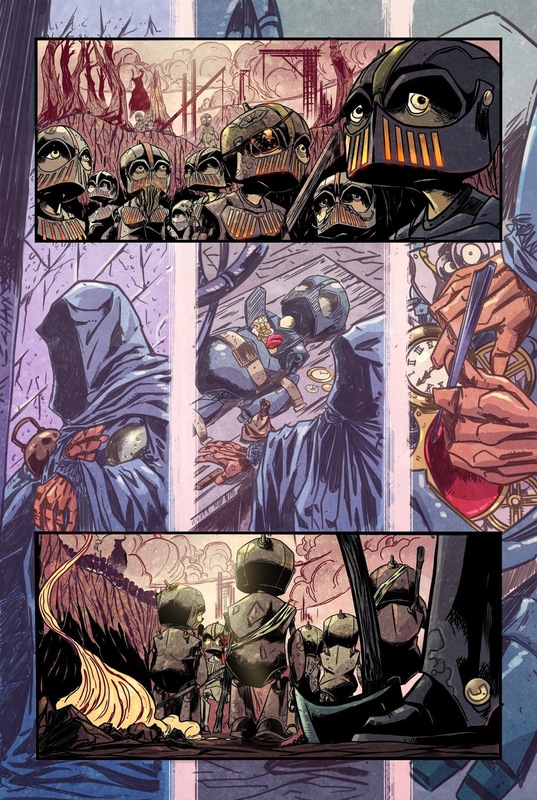 Enslaved for generations, Canto’s people once had hearts. Now they have clocks. When slavers damage a little tin girl’s clock beyond repair, Canto must brave the darkest corners of his hostile world to bring back her heart. Can he overcome the dangers that await to save the one he loves? David M. Booher says, “We set out to create a character in Canto who finds hope where there seems to be none. Drew, Vittorio, and Deron have done a spectacular job bringing this world to life with Canto as its light. 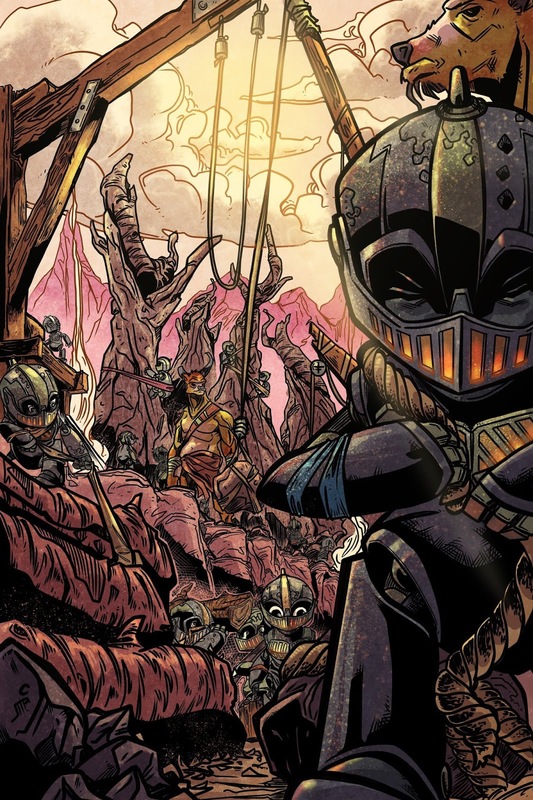 We couldn’t be happier to team up with IDW and have readers join us on his adventure." "When you think about myths and fables, you think about stories that have lessons to teach and that will resonate for years to come—and Canto absolutely fits that bill. The joy and awe that the team puts into every page—even when things seem dark—make this story last with you long after you put it down,” says Associate Editor David Mariotte. 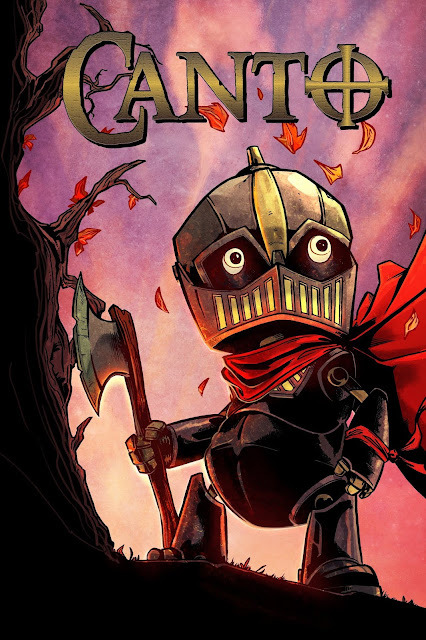 For information on how to secure copies of Canto #1 – available with a regular cover by Zucker and a special variant by Nick Robles (Euthanauts) – please contact your local comic shop or visit www.comicshoplocator.com to find a store near you.